An image of a dead canary in a carbon monoxide filled coal mine springs to mind when I think of the crisis affecting the GP workforce and NHS. As an experienced GP, researcher, and teacher from the Netherlands, I looked forward in 2015, to start working in the strongest academic primary care environment in the world. These last 2 years, the opportunities for GP research have indeed been better than in the Netherlands, but my overall impression is that, unfortunately, general practice itself is at the brink of collapse. I am not sure how my research would add to its sustainability. In this article, I briefly describe under what conditions GPs in the Netherlands successfully countered such crumbling forces and why academic structures in the Netherlands may have been more successful in supporting GPs. The first condition for good primary care and its teaching and training is a protective societal environment. To write that physicians in the UK do not perceive their government to be protective of primary care is probably an understatement. On the other hand, the Dutch government seems more supportive. For example, it cooperates with the Dutch College of General Practitioners (DCGP), universities, and other national organisations of GPs in what is called a ‘polder’ model: all working towards a consensus. GPs are highly organised and are seen as equal partners in care, although scaling and substitution of hospital care are also regarded as eroding the GPs’ direct contact with the patient. It would seem that Dutch GPs have overall bargained better for their professional autonomy. The third condition relates to the DCGP's long-term emphasis on helping GPs to deal with uncertainty, by co-creating GP-relevant knowledge. That has led to good GP–specialist training programmes that are well integrated into academic departments of general practice. These programmes focus on self-directed learning on the job, on interpersonal and consultation skills,3,4 and on learning to use evidence that is translated into GP-specific guidelines or standards. The standards have also given Dutch specialists a much clearer idea of what to expect of GPs, and many have come to realise that they can do little without GPs, but when collaborating with them, they can achieve more. To let specialist colleagues in the UK get away with a disregard for the interdependence between settings is probably not a good idea. Students and young GPs are responding to a general lack of respect towards primary care, and as canaries, are flying away to other countries. We have a responsibility to define together what everybody's work is in health care. Perhaps there are lessons to learn in the UK. There is an alarming 40% shortage of GPs. Among the 60% that are still working, GP burnout is rife and urgently requires structural changes to engage doctors again.6 Instead, more team members are introduced into larger practices that have a defensive culture and shun direct communication and accountability. Relationship building, open conversations, and personal continuity give way to abstract procedures and commercially-focused digital solutions. There seems an unusually strong disconnect between teaching, research, and practice here in the UK. GPs need to start redefining the content of their work themselves again; otherwise their jobs end up like the miners around Manchester. (2014) Evaluatie zorgstelsel en risicoverevening acht jaar na invoering zorgverzekeringswet: succes verzekerd? [Evaluation care system and risk equalisation eight years after introduction of the care insurance law: a sure success?] (IBMG, Rotterdam). (2016) National spending on health by source for 184 countries between 2013 and 2040. Lancet 387(10037):2521–2535, doi:10.1016/S0140-6736(16)30167-2. 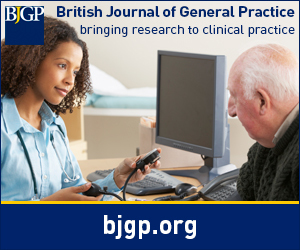 (2010) Does patient feedback improve the consultation skills of general practice trainees? A controlled trial. Med Educ 44(2):156–164, doi:10.1111/j.1365-2923.2009.03569.x. (2004) Acquisition of communication skills in postgraduate training for general practice. Med Educ 38(2):158–167, doi:10.1111/j.1365-2923.2004.01747.x. (2016) Mapping Uncertainty in Medicine (Royal College of General Practitioners, London, UK). (2017) Controlled interventions to reduce burnout in physicians. JAMA Intern Med 177(2):195–205, doi:10.1001/jamainternmed.2016.7674.